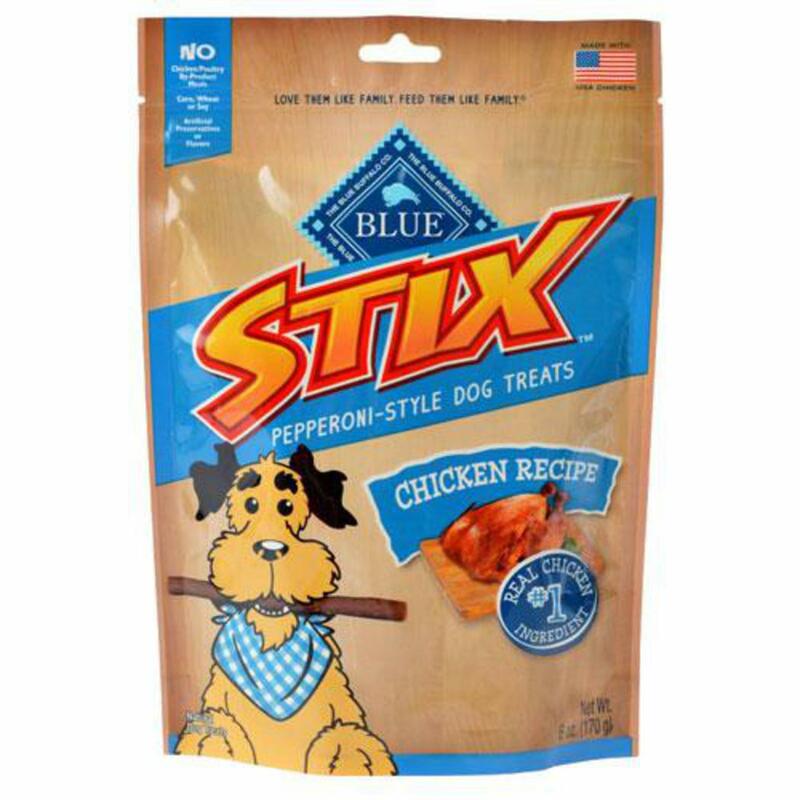 Give your furry best friend the moist and meaty flavor that she craves with Blue Buffalo Blue Stix Chicken Recipe Pepperoni-Style Dog Treats. With real chicken as the first ingredient, nutrient-packed flaxseed, oatmeal, and sweet potatoes, and absolutely zero artificial flavors or preservatives, these wholesome dog treats will have your four-legged best friend begging to learn new tricks. Your pup will love eating them and you’ll love rewarding her for her best doggie behavior with these meaty treats, thanks to the all-natural ingredients and health benefits. And with no poultry by-product meal, corn, wheat or soy to worry about, these tasty beef sticks make for a perfectly guilt-free way to treat your furry family member. Made with 100% real, deboned chicken and contain absolutely no artificial flavors, colors or preservatives.